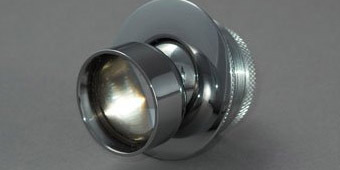 Our Range of End Fittings Fittings for decorative and functional applications. End fittings may or may not be necessary depending on your application. Some types serve the function of focussing and/or directing the light, while others give a purely decorative finish to the ends of the fibre. Generally those with flat lenses do not alter the angle of the light cone, while those with domed lenses are focusable. Visual Aquatics fittings are available in many decorative finishes, and for larger quantities some can be supplied with a custom finish. 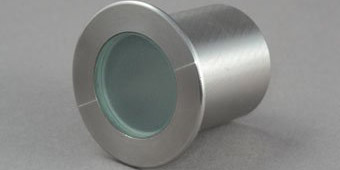 With flat or domed lenses for fixed or focussing beams. Also available frosted for marker dots of light. Articulated fittings that can be angled to a greater or lesser extent from the vertical position and fixed downlights which shine light in a straight line. Available in a number of shapes and sizes. Suitable for installation in constant immersion settings such as swimming pools, ponds and water features. 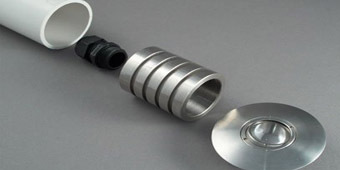 For use mainly in decorative lighting applications, our range of sparkle fittings are manufactured in a variety of materials, including aluminium, polycarbonate and stainless steel. A variety of finishes are also available as standard and we can paint or anodise in any custom RAL colour required. Like all our end fittings, no heat or electricity is ouput from this range. 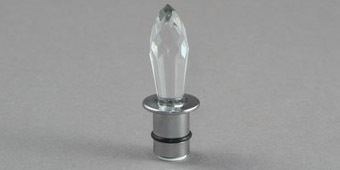 High quality European glass crystal fitting which gives a sparkling light point and a decorative surrounding pattern of light. Suitable for use with either polymer or glass fibre. Normal fibre sizes used with these fittings are 1.5mm, 1.8mm or 2mm, depending on the brightness required. 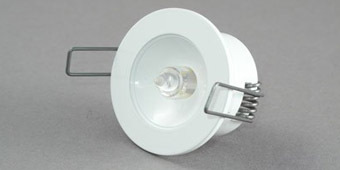 This downlight fitting allows an airtight seal to be maintained within a display case when using fibre optics. Highly suitable for use in museum or other display cases, these fittings use a series of o-rings around the flange, eyeball and ferrule. 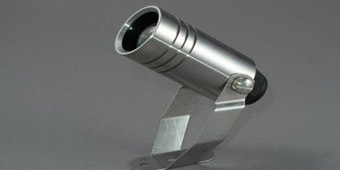 With a directional and focusable trumpet, the light beam can be adjusted to perfectly light the desired object.